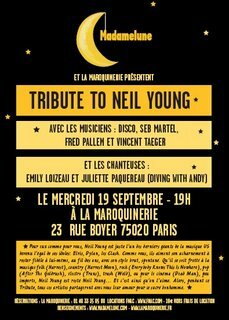 Here's a report on a Tribute To The Young Neil Young in Paris, France. From Leaky Sparrow blog. Thanks Philippe!